Gyeongbokgung Palace is the top destination in Seoul among travelers who prefer to learn about Korean history and culture. The Palace is the largest and most extravagant among the five grand palaces in Korea. Historically, Gyeongbokgung was the main palace and home of the Joseon Dynasty’s royal family. Built in 1395, it has a long history of both successes and devastations. The original land area covers 40 hectares, but it is significantly reduced in size due to demolitions of many structures, restructuring by the Japanese army, suffered destruction due to fires at various times. However, whatever happened in the past cannot stop the throng of travelers from all over the world. Any time of the year, men, women, children, young and old, and even babies (with their parent/s) come to explore Gyeongbokgung’s structures and atmosphere. 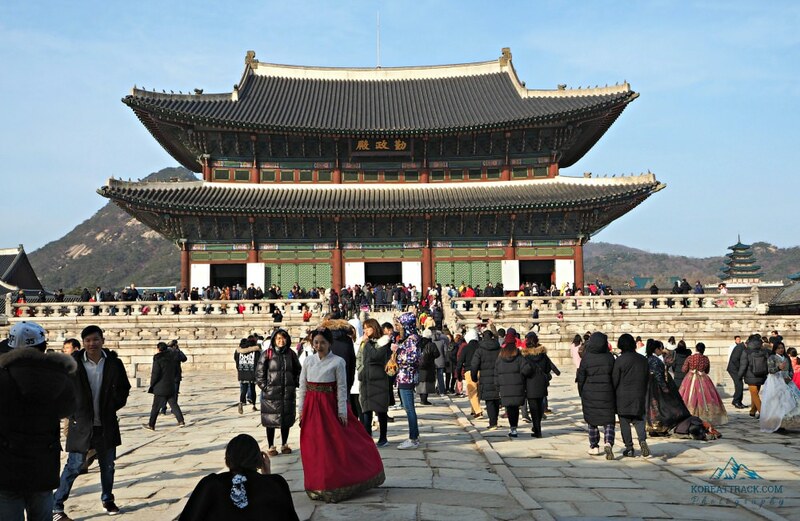 Nowadays, you can see visitors wearing ‘hanbok’ (traditional clothing) roaming around and looking for corners to take their most memorable photos! You can see men wearing the kingly or an official’s clothing in strong blue and red, while young girls are wearing attractive and flowing dresses of varied colors. First, it is, not by chance, located in a scenic area in Seoul with Mount Bugak as its backdrop. The plan of this Palace was based on the study done by renowned scholars of the Joseon Dynasty. Its location is not only strategic and scenic but also has the elements of fengshui. Fengshui is a principle of geomancy which claims that harmony between people and the surrounding environment can be achieved through the use of energy forces—roughly speaking! I guess that the use of that ancient Chinese principle is true for Gyeongbokgung. I agree to with that! Second, the Palace is at the heart of the capital city, a busy area where various exciting events can be witnessed and places can be explored. Gyeongbokgung is very accessible, and one cannot miss to find it. If you are coming from outside the country, a bus from Incheon Airport will bring you close to the palace’ entrance. Added value to its location, Gyeongbok Palace is nearby other famous attractions, activities, sites, art institutions, relevant buildings, and accommodation. One does not have to wander far away from the palace to enjoy and do lots of things. The changing of royal guards, facilities, and the two museums inside the palace all the more entice visitors to come and see. I have visited the Palace for countless times. And one thing I realized if I had to enjoy the place fully is to know some historical backgrounds of the relevant structures and specific items inside the palace compound. So, rather than saying that the “palace is amazing and beautiful” would not really work well. You can’t appreciate its greatness and beauty without any historical and specific information. Therefore, it could be useful if you learn about the structures and items I described below. You will see things differently and can fully enjoy your visit. Gwanghwamun Gate is the main gate of Gyeongbokgung Palace. It is a double-roofed structure above three arched made of high stone structure. The middle arch was where the king pass through while the other two arches were where the crown prince and officials enter in or come out. Still, in fact, you are only allowed to pass through one side—the right arch door—during your visit. And the left arch door is used for exiting visitors only! When the Japanese imperial army established their headquarters in the Palace, the original gate had been moved to the north of Geonchunmun (East Gate). During the Korean War (1950-53), the original gate was bombed and heavily destroyed. In 1968, Gwanghwamun was rebuilt with a concrete structure (and roofing) but was restored again as a wooden and granite structure only in 2010. Gwanghwamun Gate seems to reflect the structure of fortress gates as having high stone foundations and entrances in the middle. The three arches indicate its formalistic structure and that they were the main entrances to the Palace. Sinmumun Gate right after the wall was built which received its present name in 1475. This gate was used only a few times such as when civil servants joined in some gathering confirming their allegiance. Sinmumun Gate had the same status as the Geonchunmun Gate. The gate’s present structure was built in 1865 when Gyeongbokgung Palace was being rebuilt. The name literally means “spring begins.” Geonchunmun used to be the crown prince and court officials’ gate while working in the administrative buildings located inside the Crown Prince’s Compound. The present structure was built during King Gojong’s reign when Gyeongbokgung was rebuilt in 1865. Yeongchumun literally means “welcome autumn” in Korean, a translation from Hanja. The civil and military court officials used this gate while working in the administrative offices situated in the west. The present solid and one-arch gate was restored in 1975. It is a watchtower located at the southeastern part of Gyeongbokgung. Now, you will see it sitting in the middle of a busy street. The other watchtower at the western side, Seosibjagak, was demolished by the Japanese in 1923. Obviously, it is not (yet) rebuilt or replicated. These quarters are composed of three buildings: Sajeongjeon Hall, Manchunjeon Hall, and Cheonchujeon Hall. These halls are facing south and are enclosed by a corridor-like structure with compartments inside. It was where the king discussed national affairs with his officials; where he threw parties for his relatives, ministers and supervised the civil service exams. In this hall, you can see the inner hall-ceiling paintings of dragons and clouds, among other decorative features. The hall was named Sajeongjeon Hall (and Sajeongjeon Gate) by Jeong Do-jeon (1337-1398) a scholar and one who helped established the Joseon Dynasty. The term ‘sajeong’ means that one must ponder very deeply of the ways of the world and determine what is right and wrong. This name exactly fits the Office Quarters that functions are state affairs and lecture halls. Sajeongjeon Hall has three entrances: the central hall where the king enters while the left and the right entries are where the ministers enter or leave. This hall was not built with a heating floor system, which is presumed to be used only during warmer seasons. However, the auxiliary halls (Manchujeon and Cheonchujeon Halls) have floors laid out with the heating system and were presumed to be used during cold seasons. Sujeongjeon is located to the South of Gyeonghoeru Pavilion’s pond. 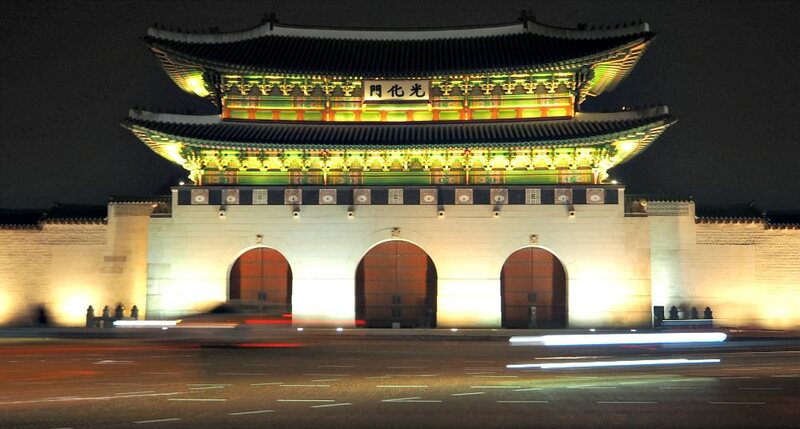 It is where Jiphyeonjeon Hall (Hall of Worthy [Individuals]) was located during King Sejong’s time. King Gojong later rebuilt Sujeongjeon when the Palace was restored. This hall also served as the sleeping and residential quarters during King Gojong’s reign. Gangnyeongjeon Hall is where the king resided. It is also where he conducted state affairs. Within the hall’s compound, one can still find a well which was used to supply the king water for his daily needs. It is extant and located west of the hall. Hyangomun Gate is the gate that leads to the living quarters of the king and queen. It is built into the corridor behind Sajeongjeon Hall. Gangnyeongjeon Hall got burned down three times in history including during King Sejong’s reign in 1397-1450. It is rebuilt in the late 19th century but was dismantled to be used as materials in rebuilding the living quarters in Changdeokgung Palace in 1918. This present building was built only in 1995 and using specifications based on the original plan. Now, it also has a spacious wooden-floor with rooms built with ‘ondol’ (floor-heating system). Gangnyeongjeon Hall has a wide stone veranda in front where special events take place. The Hall has decorated chimneys located on the left and right sides of the building. The chimneys are decorated with Chinese characters that say: thousands of years and long life. The Gyotaejeon Hall is the queen’s living quarter with Yanguimun Gate as the entrance. It is located behind the king’s quarters. Both the king and the queen threw parties in their respective quarters. They also perform official duties in their respective quarters. Gyotaejeon Hall was also demolished when Gangnyeongjeon was dismantled. Its materials were used to construct the Daejojeon Hall in Changdeokgung Palace. Behind the Gyotaejeon Hall is the Amisan, an artificial mound, which uses the Chinese characters for Mount Emei. The creation of this mound agrees that the said mountain is the most beautiful and mysterious mountain that time. There are terraces of flowering plants on the mound. One can also notice chimneys, which functioned as exhausts from the heating system of Gyotaejeon Hall. The mound or hill was created with stone structures that reflects a beautiful and harmonious scene between mountains and lakes. The chimneys are built with hexagonal bricks engraved with interesting patterns, such as vines, Phoenix, pines, apricot trees, chrysanthemum, animals, herbs, rocks and such things related to the natural world. These engravings are attached to the sides of the chimneys. Heumgyeonggak: Jang Yeong-sil was first built in 1438 which housed Ongnugiryun, an astronomical water clock which tells seasons and hours. Jagyeongjeon Hall is located to the east of the living quarters of Queen Sinjeong (Dowager Jo), King Gojong’s adoptive mother. The Hall was constructed when Gojong’s father, Daewongun (Regent Heungseon) was building Gyeongbokgung Palace. Unfortunately, the building was consumed by fire right after it was completed. The new structure was restored in 1888. Jagyeongjeon Hall has two rooms, heated floor system, a veranda, Bogandang, and Cheongyeonnu. The Mansemun Gate is a four-panel folding door built in the middle of the low building located to the south of Jagyeongjeon Hall. You can see an animal statue in front of Jagyeongjeon Hall. The gable eaves is also visible on Jagyeongjeon Hall roof, among other peculiar features. The wall of Jagyeongjeon Hall is decorated with flower engravings. To the western wall of the Dowager’s quarter are decorations of colorful bricks with engraved with apricot flowers, peach, peony, chrysanthemum, bamboo, butterfly, and a lotus flower. Behind the walls of Jagyeongjeon Hall are chimneys seemingly engraved with signs of longevity attributed to males. (I said males because these are different from the symbols carved on the walls of the Dowager’s residence wall). The engravings are the sun, mountain, water, stone, cloud, pine, herbs for eternal life and health, and animals--crane, deer, and turtle, among others. Jagyeongjeon Hall’s western wall is built with orange-colored bricks. Inside this wall, one can see engravings in Chinese characters, hexagon shapes, lattices, and plum petals. Outside this same wall, you can see colored brinks with engravings of peach, peony, chrysanthemum, bamboo, butterfly, and lotus flower. Donggung is a compound where the crown prince used to reside with the crown princess, while he was preparing to ascend to the throne. The complex is built with two buildings: Jaseondang and Bihyeongak. Jaseondang was the crown prince and princess's quarters, while the Bihyeongak served as the study place of the crown prince. Besides the two buildings, a lecture hall (Chunbang) and a guards building (Gyebang) were also built. This compound was not made when the palace was first established but only later during King Sejong’s reign in 1427. The two structures were rebuilt, except the others that were destroyed by fire, in 1999. Gyeonghoeru Pavilion is the most prominent structure inside the palace. It is built on a pond where the king threw feasts for its foreign guests and court officials. The translation for the word ‘gyeonghoeru’ means that the king can manage national affairs with the capable people around him. This present pavilion started with a small one when the Palace was first established in 1412. However, when the pond was expanded so was the pavilion. King Sejong rebuilt this pavilion and decorated the stone pillars with engravings of dragons and flowers. The present Gyeonghoeru Pavilion was built in 1867 and survived the fires while the other structures were burnt down. Sculpted animals that are supposed to ward off evil spirits were installed atop the front railing stones on the three granite bridges leading toward the Pavilion. Structurally, Gyeonghoeru Pavilion was built based on a diagram of the Book of Changes or the so-called Iching. It is said that the principle of 6-6 is supposed to “suppress fire” from occurring within the building. When Geongcheonggung Palace Residence was constructed, King Gojong also created an islet amid Hyangwonji Pond where the Hyangwonjeong Pavilion, a two level and hexagon-shaped structure is located. Chwihyanggyo was made of wood (and this replica). Originally, the bridge was on the north side reaching Geoncheonggung Palace. However, Chwihyanggyo got destroyed during the Korean War. When it was restored in 1953, it was placed on the south side of the island. The water of Hyangwonji Pond comes from the underground source and from spring water that flows down from the hills behind it. The water of this pond is the source of Gyeonghoeru Pavilion’s pond water. Taewonjeon Hall houses the portrait of King Taejo, who founded the Joseon Dynasty. Together with Binjeon Hall, Honjeon Hall, and Yeongjeon Hall, Taewonjeon Hall is located in the northwest of Gyeongbokgung Palace. Binjeon Hall is where the deceased royals being laid right after their deaths. While Honjeon Hall keeps the mortuary tablets for two years before sending to Jongmyo Shrine, it was in the Yeongjeon Hall where their portraits were displayed and rites performed. It is in Taejeon Hall where King Taejo’s portrait was held, but later on, the Shrine was used for varied purposes including as mortuary tablets building, for officiating ceremonies for the dead, and other related usages. In the early 20th century, Taewonjeon Hall was dismantled, and the present one is just a replica. Geoncheonggung Residence was specially built for the king and the queen to enjoy their private and quiet time. The residence was built in 1873, five years after Gyeongbok Palace was reconstructed. It is close to Hyangwonji Pond which has a pavilion and a wooden bridge linking to it. Jangandang (king’s hall), Gonnyeonghap (queen’s hall), and Gwanmungak Library (built just behind Jangandang Hall) were built imitating the typical literati’s residential structure. Positively, a Russian architect rebuilt the library making it into a two-story brick structure. It is where the electric lights were first installed in the palace compound. Opposite to the intention of the residence as a peaceful abode, it is where political turmoil occurred. It is where King Gojong resolved international and political affairs and issues. Negatively, it is where the Japanese assassins killed Queen Myeongseong (King Gojong’s wife) in 1895. These three palace structures were initially built in Changdeokgung Palace. They were then were moved to Gyeongbokgung when King Gojong moved his residence in 1888. King Gojong utilized these buildings to enshrine royals’ portraits, and as a library and reception hall for foreign envoys. Compared to other buildings, Jibokjae Hall is different as it displays Chinese architecture which was believed to be ‘modern’ during that period. Inside Gyeongbokgung Palace, various events, public and cultural performances are being held on regular basis. Some of them are posted on English websites while most are in the in Korean websites in local language. August 10-King Sejong’s Coronation Enactment. The coronation reenactment is my favorite as it is a big, quite exciting and spectacular event. This event reenacts the coronation ceremony of King Sejong, Korea’s greatest king that ever lived and served the people. The ceremony is elaborate. You will see the old officials and invited people during that time wearing traditional, colorful, and attractions designs and colors. It is fantastic spectacle to watch. There are two museums within Gyeongbokgung Palace. It is worth checking them out, when you have extra time, to deepen your historical background and knowledge about the Palace. Reconstruction of some historical buildings is being replicated to make the whole area look like more of what it was. When exploring Gyeongbokgung Palace, you don’t need to worry about your needs. The palace compound has basic and useful facilities and services for your day’s visit. Gyeongbokgung has a parking space but not for free. But you only need to pay the basic rates depending on the size of your vehicle and the time you park. This guided tour is offered for the most interesting areas and structures of the palace. It will take around an hour to complete the service. Note: The tour starts from the front of the information center at Heungnyemun Gate area. 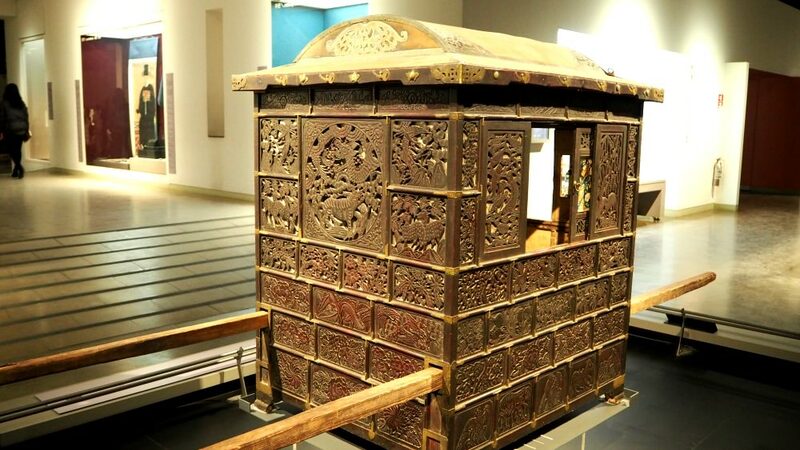 This tour is only for this specific part of the palace – Gyeonghoeru Pavilion. This is free if you already got the entrance ticket. Duration of tour: About 40 minutes. Requirements: Passport and printed or electronic confirmation of your reservation. Starting Point: Hamhongmun, the middle gate of Gyeonghoeru Pavilion. If you don’t speak or understand the language, please note that this guided tour only used the Korean language at this stage. The following are the affordable accommodations close or walking distance to Gyeongbokgung Palace. 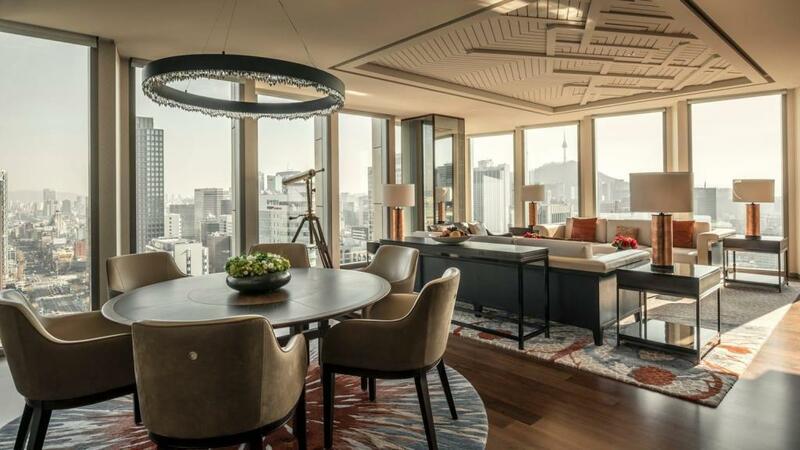 Besides, they are popular and located in the best places with easy access to Seoul’s transports and famous travel places. There are various ways to get close to the palace area. You can take a subway, bus, or a taxi to get there. Take Seoul Subway Line 3 and get off at Gyeongbokgung Station and out from Exit 5. Take Seoul Subway Line 3 and get off at Anguk Station and out from Exit 1. If you take the Seoul City Tour Bus B, simply ask the driver to drop you off at Gyeongbokgung. Also, you can take any of the following bus numbers: 1020, 7025,109, 171, 172, 601 or 606. Then get off at Gyeongbokgung Palace Bus Stop. Alternately, you can take Jongno Bus 11 and get off at the National Folk Museum of Korea Bus Stop. Now, in case you have special questions or inquiries, please drop me a line, and I would respond as soon as possible. Thanks for reading. Hope this helps your search.